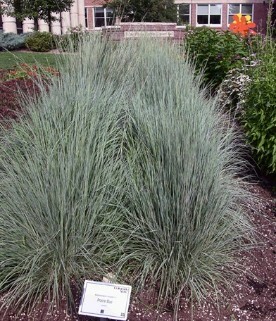 Andropogon, also known as bluestem. 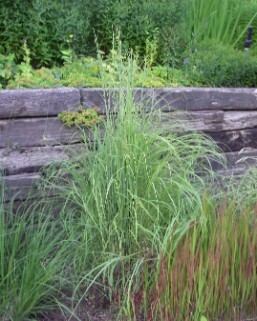 The Andropogon grasses are from the tallgrass prairie;Andropogon gerardii has been the dominant grass. They are warm season clumping grasses. It is hardy, as well as supplying decent nutritional value to the animals that grazed it.